I was recently invited to participate in a blogger style-off by online store Yumi Direct, and here is what I came up with! I chose to style this really simple textured fit & flare dress, because I love the classic shape and length and I think that the subtle textured print is a really nice touch. I’ve also found that it translates really well into business-wear with a fitted black blazer and court shoes! As far as the style-off goes, I would really appreciate it if you could vote for me by liking my image on the Yumi Facebook page! Please comment if you do, I would love to return the favour by taking a look at your blog, or voting for you in any competitions you have entered. you so know your stuff! You look so lovely with your hair up Hannah! 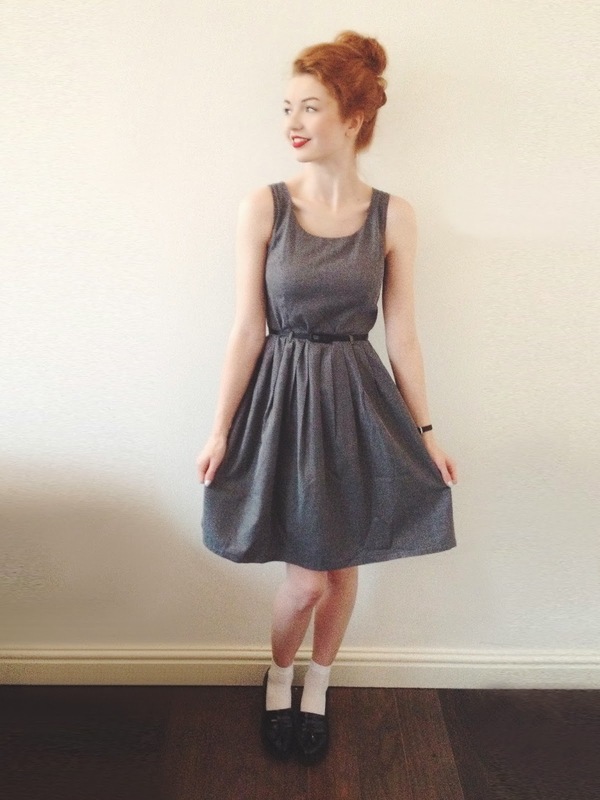 looking really lovely in the simple grey dress and patent leather shoes!